Simply search around the internet for companies marketing life insurance and you will notice that the majority of the time the advertisements you see are from ONE company. However, TermLife2Go is an agency that represents dozens of the top rated best life insurance companies and the top rated best no medical exam companies in the marketplace. Through providing our clients with options from dozens of top rated companies we can help our clients secure the best life insurance rates for those with a pancreatitis, as well as most other health issues. Give us a call today for a free consultation. When you apply for a life insurance policy the life insurance company will want to know everything about your medical history and current health. Pancreatitis can be a red flag. But don’t worry; having pancreatitis doesn’t mean you’ll automatically be declined a policy. Some people who have had pancreatitis may even be given a standard rate. The pancreas is a small yet crucial part of your body. It helps you to digest food by releasing enzymes into your small in your small intestines, and also releases hormones that help your food convert into energy. When your pancreas suffers from inflammation, then it is known as pancreatitis. There are two types of pancreatitis: acute pancreatitis, which usually only lasts for a few weeks when treated, and chronic pancreatitis, which lasts much longer and may move you into the high risk life insurance category. If you have had acute pancreatitis, it may not be a big deal to insurance companies, especially if it occurred years earlier, and you have since been otherwise healthy. Most of the time, acute pancreatitis is the result of alcohol use or gallstones, both of which are typically not life threatening. If your pancreatitis was caused by alcohol consumption, a life insurance company may want to know more about your lifestyle; if you suffer from alcoholism, then this is likely to make your premium go up, not your pancreatitis. If you have only recently recovered from acute pancreatitis, you may face a premium, but a few symptom-free months will likely bring down the cost of your life insurance policy. Patients with chronic pancreatitis, however, will face a tougher time getting a life insurance company to underwrite a standard policy. It is quite likely that chronic pancreatitis will result in a premium. In some cases, a person with chronic pancreatitis may even be declined life insurance. 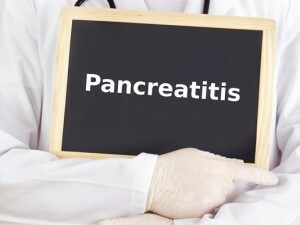 Why might it be difficult to get life insurance with chronic pancreatitis? Chronic pancreatitis compromises your entire digestive system which can cause a number of other health problems such as malnutrition or diabetes. Trying to find life insurance with diabetes and pancreatitis will be more difficult. A life insurance company is interested in your overall health; one-off health problems such as acute pancreatitis aren’t typically something to worry about, but any ongoing health issue is a concern for a life insurance company. In addition to knowing the cause, a life insurance company will also want to know if any permanent damage has already been done, and if so, to what extent. Based on these findings, an insurance company will choose whether or not to underwrite a policy and at what rate. What will an insurance company ask me if I have or have had pancreatitis? When did you have pancreatitis, and for how long? Do you currently have pancreatitis? How many times have you had pancreatitis? What was the cause of your pancreatitis? Do you have acute or chronic pancreatitis? Have you ever been hospitalized or had any surgeries? What was/is your treatment plan for your pancreatitis? Did you have any complications due to pancreatitis? Do you currently drink alcohol? If yes, how often? A life insurance company will analyze your answers, and then decide if they will underwrite your life insurance policy. What if I have been denied a life insurance policy in the past due to pancreatitis? Just because you have been denied a life insurance policy in the past, doesn’t mean you need to give up all hope of getting coverage. The truth is, life insurance companies don’t all come to the same conclusions. If you were denied by one life insurance Company because of your pancreatitis, doesn’t mean you will be denied by all. In addition, if you have been relatively healthy since the last time you applied, then your chances of getting a life insurance company to underwrite your policy have probably increased. For some clients with more severe chronic pancreatitis may need to consider choosing burial insurance from among the best final expense life insurance companies. The trick is to know where you need to turn. There are so many life insurance companies offering so many different policies, it’s very difficult for the average person to spot the differences. Your best bet would be to turn to someone like us, TermLife2Go. Our objective is to find the best types of life insurance policies for each of our clients. We do this by learning about our clients, their medical history, current health, and lifestyles. We also ask our clients to tell us their objective in getting life insurance – some may want just enough coverage for burial or final expenses while others may want to make provisions for their children and grandchildren. Once we gather this information, we recommend the best policies for your needs and wants. In the end, you, the client, makes the choice. This way, you can make an informed decision, and choose the right pancreatitis friendly life insurance company and policy for you and your family. If you are interested in a free consultation, then please call us today. Thank you for reading our article, Finding Life Insurance with Pancreatitis. Please leave any questions or comments below. Acute and chronic pancreatitis is one of those conditions where we’ll really need to speak to you first about your condition as well as how much insurance you’re looking for before we can really know which way to go. For this reason, why don’t you just give us a call when you have a chance and we’ll do our very best to help you out. Previous Post: How to get life insurance with Ulcerative Colitis. Next Post: How to find Life Insurance with Polycystic Kidney Disease.